Three new exhibitions will open on Saturday, Feb. 10, at the Muscarelle Museum of Art, celebrating traditional Japanese art, a century of photography and Norman Rockwell’s Boy Scouts. Hiroshige’s Tokaido offers a rare view of the famed 19th-century artist’s literal and figurative progression along Japan’s Tokaido, or Eastern Sea Route, through an impressive 250 prints. The exhibition presents five different sets of Utagawa Hiroshige’s “53 Stations of the Tokaido Road,” never before displayed together. The effect offers the viewer in a panoramic view of the Tokaido, as well as Hiroshige’s romance with Japan’s landscape. Works in Hiroshige’s Tokaido are on loan from the Ronin Gallery. The exhibition will be on view through Aug. 21. “We are delighted to host this significant collection, which will certainly enchant our visitors,” said Aaron De Groft, Muscarelle director and CEO. Light Works: A Century of Great Photography comprises more than 50 of the most memorable images of photography’s first century and highlights the 2015 founding of a photography program at William & Mary. 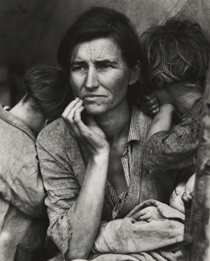 The show surveys the origin, evolution and variations of photography during its first full century, including images by Alfred Stieglitz, Dorothea Lange and Ansel Adams, among others. It is on view through April 10. Be sure to visit the camera obscura behind the gallery for insight into the physics of photography. Norman Rockwell and the Boy Scouts features nine paintings by the artist famed for nostalgic and patriotic depictions of 20th-century American Life. The exhibition is dedicated to W&M Chancellor and former U.S. Defense Secretary Robert Gates ’65, who became president of the Boy Scouts of America in 2014. The works are on loan from the National Scouting Museum in Fort Worth, Texas. The show runs through Aug. 21. On Valentine’s Day, Feb. 14, the Muscarelle will host “Music in the Galleries: Romantic Melodies,” at 2 p.m., featuring classical guitarist and soprano duo Timothy and Judy Olbrych. The Muscarelle also runs its regular First Tuesday, Third Thursday and Midway Wednesday lecture series. 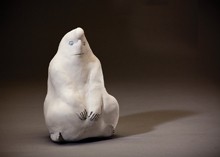 The Art and Art History Department’s Andrews Gallery kicks off the spring semester on Tuesday, Jan. 26, with Melange á Clay, curated by visiting artist Joe Bova, with an opening reception from 4 p.m. to 6 p.m. on Thursday, Jan. 28. Later on Jan. 28, the art department is hosting its Distinguished Lecture at 7 p.m. in Andrews Hall Auditorium 101 with “X-Existence,” featuring Timothy Morton, Rita Shea Guffey Chair in English at Rice University. Morton is one of the top cultural theorists of ecology and a key figure in the philosophy of object-oriented ontology. The art department follows up at 7 p.m. on Thursday, Feb. 25, in Andrews 101 with a discussion on materiality featuring James Sullivan, sculpture professor and art chair at Southern Methodist University’s Meadows School of the Arts, and Andrew Mitchell, associate professor of philosophy and director of graduate studies at Emory University. W&M’s Charles Palermo, Alumni Memorial Term Distinguished Associate Professor of Art and Art History, will moderate. The Andrews Gallery will feature the work of Michael Draeger, W&M studio art technician, throughout March, with an opening reception on March 17, from 4 p.m. to 6 p.m. The gallery will also host a series of student exhibitions in Andrews, with art minors displaying work between April 6 and April 15, honors students from April 18 to April 28, and art majors from May 4 to May 15. Student choreographers will step into the spotlight with “An Evening of Dance,” scheduled to open March 24 at 7:30 p.m. in Phi Beta Kappa Hall. The students will present an array of dances inspired by stories from their lives, their surroundings, and the unknown. Members of the Orchesis Dance Company perform original works. The event will run through March 26. Tickets may be purchased at the Phi Beta Kappa Hall Box Office. This spring, William & Mary’s Department of Music will once again offer myriad opportunities for music lovers to enjoy performances both by university ensembles and visiting musicians. 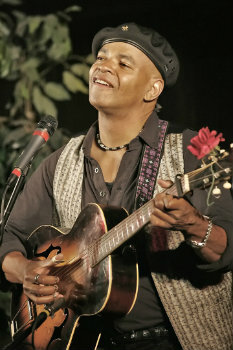 The first spring installment of the Ewell Concert Series will feature bluesman Guy Davis. Davis has dedicated himself to revising acoustic blues traditions and bringing them to as many ears as possible through materials of great blues masters, African-American storytellers and his own original songs, stories and performance pieces. Davis will perform at the Williamsburg Regional Library Theatre Jan. 29 at 7:30 p.m. The event is $5 for students and $10 general admission. The next event in the series features German pianist Andreas Klein. Klein's career as orchestra soloist and recitalist has taken him to the world's most prestigious venues, including London's Wigmore Hall, Berlin's Philharmonic Hall and New York's Carnegie Hall. He will perform the music of Beethoven, Schumann, Ginastera, and Prokofiev in Ewell Recital Hall Feb. 12 at 7:30 p.m. Tickets are $5 for students and $10 general admission. Klein will also present a piano master class on Feb. 11, 7-9pm, in Ewell Recital Hall. He will publicly teach four advanced piano students from the Department of Music. All are welcome; admission is free. The final Ewell Concert Series event of the 2015-2016 season will feature The Esterhazy Trio, a Viennese group that provides an authentic 18th-century musical experience while at the same time demonstrating the latest trends in historical performance. The trio is making its first tour of the United States in April 2016. The event, free and open to the public, will take place April 9 at 7:30 p.m. in the Great Hall of the Wren Building. The Esterhazy Trio will also present a strings master class, free and open to the public, on April 8, 10 a.m.-2 p.m., in Ewell Recital Hall. The trio will coach individual players and ensembles. William & Mary’s multiple music ensembles will give performances throughout the semester, beginning with a special collaboration between the W&M Wind Ensemble and the W&M Global Film Festival. On Feb. 21, from 1 to 2 p.m. in the Kimball Theatre, the Wind Ensemble will provide live accompaniment for cinema montages created by students in film and media studies as part of the festival. Other upcoming music events include: a pre-tour concert by the W&M Choir on Feb. 28, a winter concert by the W&M Symphony Orchestra on March 3, an opera scene recital on April 14, a viol consort concert on April 15, a spring concert by the W&M Music of India Ensemble on April 16, a candlelight concert by the Women’s Chorus on April 16, a Jazz Ensemble/Jazz Combo concert on April 17, and a spring concert by the W&M Gallery Players on April 21, a W&M Wind Ensemble spring concert on April 30, a spring concert by the W&M Symphony Orchestra on May 1, and a Commencement concert by the W&M Choir on May 14. Additional events may be found on the music calendar. Three theatre productions will grace the Phi Beta Kappa Hall main stage this spring. Tickets for each show may be purchased through the W&M Box Office. Sinfonicron, William & Mary’s student-run light opera company, will present “Kiss Me, Kate,” Jan. 21-24. The Broadway classic, a musical adaptation of Shakespeare’s Taming of the Shrew, tells the story of egotistical leading man and producer, Fred Graham, and his ex-wife, Lilli Vanessi as the two reunite. The Department of Theatre begins the spring season in February with “The Oresteia,” opening Feb. 25 at 7:30 p.m. in Phi Beta Kappa Hall. The play includes Aeschylus' classic Greek trilogy of tragedies and concerns the end of the curse on the House of Atreus. Director Richard Palmer will present all three tragedies – Agamemnon, The Libation Bearers, and The Euminde – in keeping with their classical form. The production runs through Feb. 28. In April, the department will present a production of “Picasso at the Lapin Agile,” Steve Martin's long running off-Broadway absurdist comedy that places Albert Einstein and Pablo Picasso in a Parisian cafe in 1904. The play is set just before the renowned scientist transformed physics with his theory of relativity and the celebrated painter set the art world afire with cubism. The production opens at 7:30 p.m. April 21 and runs through April 24. The Patrick Hayes Writers Series will present several events with noted authors during the spring semester. All of the programs will be held in Tucker Theater and are free and open to the public. The scheduled speakers include: author LaShonda Katrice Barnett, 5 p.m. on Feb. 9; poet Shonda Buchanan, 5 p.m. on March 17; New Yorker writer and memoirist William Finnegan, 7 p.m. on April 14; and graphic memoirist Nicole Georges, 5 p.m. on a to-be-determined date. 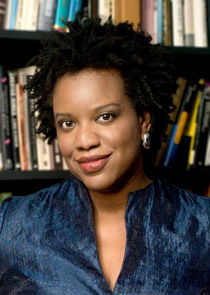 Barnett – who will read from her debut novel, Jam on the Vine – received her Ph.D. in American studies from W&M in 2012. She has been twice-nominated for the 2015 Pushcart prize, and her short stories have appeared in The Chicago Tribune, Guernica Magazine, New Orleans Review, SN Review, Juked, C4: Chamber Quarterly Literary Review, Gemini Magazine and elsewhere. Barnett has hosted her own jazz radio program in New York City, and taught “Women in Jazz” at New York City's Jazz at Lincoln Center. She also has lectured on the music nationally and in Austria, Brazil, France, Germany and South Africa. Buchanan is the author of Who’s Afraid of Black Indians?, nominated for the Literary of Virginia Literary Contest and the Black Caucus of the American Library Association Literary Awards. Featured on National Public Radio’s Tell Me More, her work explores gender, ethnicity, family, heritage, landscape, environment and ancestry. Finnegan is an award-winning journalist and staff writer for The New Yorker and has built his career on stories of human conflict: political strife in Africa and Central America, water wars in Bolivia, drug murders in Mexico, human trafficking in Moldova. His fifth book, Barbarian Days: A Surfing Life, is a memoir of his youth as a hard-core surfer whose obsession began as a 10-year-old in Los Angeles. Georges is the 2016 Scott and Vivian Donaldson Writer-in-Residence at William & Mary. She is the author of the autobiographical comic zine Invincible Summer and the graphic memoir Calling Dr. Laura, which won the Lambda Literary Award for LGBT Graphic Novel at the 26th Lambda Literary Awards in 2014. The series will conclude the academic year with a presentation of Alumni Student Literary Prizes. That event will be held at 5 p.m. April 27.